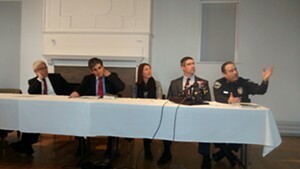 Mayor Miro Weinberger and Police Chief Brandon del Pozo say the Queen City needs a better informed and more coordinated approach to address opiate abuse. They’re hoping two new positions will accomplish that. The city is advertising for an “opiate operations policy manager” who will be responsible for getting all the local groups that deal with opiate-related issues — from treatment providers to probation officers — to work together. “We have a lot of hardworking organizations that leave value on the table by not coordinating with each other, and the city wants to take responsibility for that coordination,” del Pozo said. 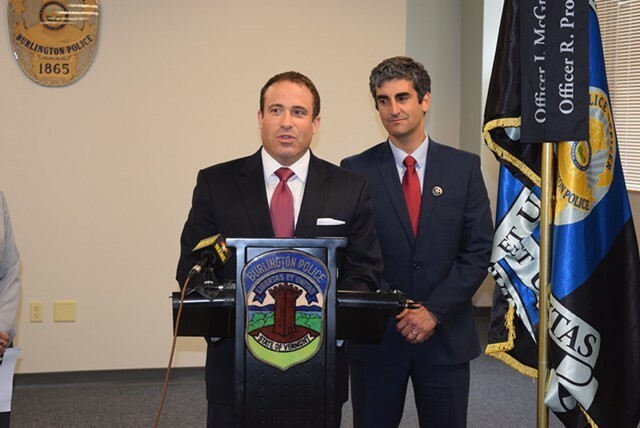 In contrast to Rutland, where officials and residents have been widely praised for their efforts to address opiate addiction through a program called Project VISION, officials say Burlington has lacked a unified approach. Since last fall, however, the mayor has been attempting to improve coordination informally by holding regular meetings with these organizations. Now they are seeking a full-time manager to take on this task. He or she will make between $64,000 and $77,000 and will report to del Pozo. The mayor and his police chief have also called attention to another problem: a lack of data on the city’s opiate abuse problem. Burlington needs a better “understanding of where we are at with this problem,” del Pozo said. To that end, they are coordinating with United Way of Northwest Vermont and the Chittenden County Regional Planning Commission, which are hiring an opiate data analyst. United Way is paying for this position with a grant. It is distinct from a recently vacated crime data analyst position within the police department, which is also being advertised for. According to del Pozo, the two main metrics used to measure the opiate problem are the number of people who die from overdoses and the length of the waiting list for treatment. He wants to know more — for example, how often people are admitted to the hospital for overdoses, how old people are when they first try heroin and how quickly people relapse after completing rehab.